Make yourself at home in one of the 180 guestrooms featuring refrigerators. Rooms have private balconies. Satellite television is provided for your entertainment. Bathrooms have shower/tub combinations and hair dryers. Make yourself at home in one of the 56 individually decorated guestrooms, featuring kitchenettes with full-sized refrigerators/freezers and stovetops. Rooms have private furnished balconies or patios. Complimentary wireless Internet access keeps you connected, and 30-inch LCD televisions are provided for your entertainment. Private bathrooms have deep soaking bathtubs and complimentary toiletries. Make yourself at home in one of the 228 air-conditioned guestrooms. Satellite television is provided for your entertainment. Private bathrooms have deep soaking bathtubs and rainfall showerheads. Conveniences include blackout drapes/curtains, housekeeping is provided daily, and irons/ironing boards can be requested. You can enjoy a meal at the restaurant serving the guests of Delphin El Habib, or stop in at the snack bar/deli. Unwind at the end of the day with a drink at the bar/lounge or the beach bar. The property consists of 224 rooms. This attractive hotel is perfect for a weekend getaway or longer holiday. The property is wheelchair-accessible. There is an on-site car park. Check-out is at . Pets are allowed at this establishment. Large pets are allowed at this establishment. Make yourself at home in one of the 280 air-conditioned rooms featuring minibars and flat-screen televisions. Your Select Comfort bed comes with premium bedding. Rooms have private balconies. Complimentary wireless Internet access keeps you connected, and satellite programming is available for your entertainment. Private bathrooms with shower/tub combinations feature complimentary toiletries and hair dryers. Make yourself at home in one of the 614 air-conditioned rooms featuring refrigerators. Rooms have private balconies. Conveniences include phones and safes, and you can also request rollaway/extra beds. 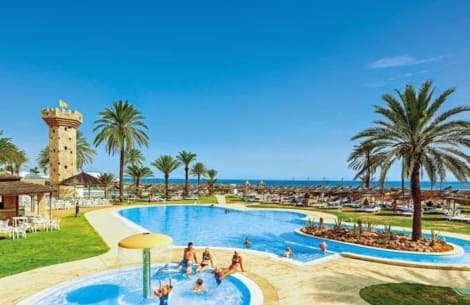 lastminute.com has a fantastic range of hotels in Monastir, with everything from cheap hotels to luxurious five star accommodation available. We like to live up to our last minute name so remember you can book any one of our excellent Monastir hotels up until midnight and stay the same night.